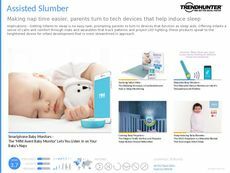 Find Better Ideas, Faster ® with a custom lighting trend report, our PRO Dashboard and 80+ categories of premium trend reports. 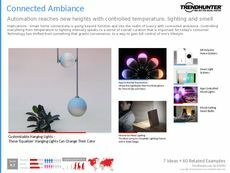 The Lighting Trend Report features the latest developments from small businesses to large companies like IKEA and Home Outfitters. 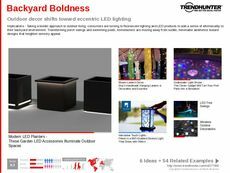 Our research highlights the latest innovations in Christmas lights, LED lights, chandelier designs and artistic lamps. By investigating the latest consumer needs, businesses can expand their current market to include buyers with a wide range of tastes. 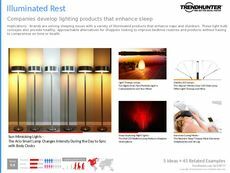 Whether your company is looking for design inspiration for reading lights, mirror lights, or other bulb-related appliances, the Lighting Trend Report will benefit all in furniture design and home appliance manufacturing. 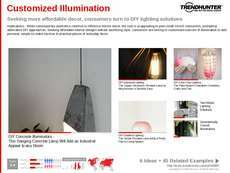 Our report features creative lamp designs from IKEA, as well as the innovations of small home decorating agencies. 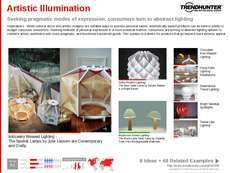 Companies can use the Lighting Report to inspire new product design and marketing strategies that reflect consumer preferences.